Industry friends joined together on Saturday, January 13, 2006 in Nashville to honor Al “The Bishop” Hobbs, and help celebrate with him the acknowledgement of his 50 years of service to the Gospel music industry by the Stellar Gospel Music Academy. This year Don Jackson and the 22nd Annual Stellar Award committee saw fit to pay homage to Hobbs’ vast contribution to the industry. Hobbs has, and continues to wear many hats, serving as Vice-Chairman for the GMWA, Chairman of the Gospel Announcers’ Guild (GAG) and President of recording company Aleho International Music. He is also a legendary Indianapolis radio celebrity and prolifically recorded with the Indianapolis Mass Choir in the 1980s (see some old LP covers!). Hobbs’ impact in the Gospel music industry has been both direct and indirect through his influence on many who lead the industry today. 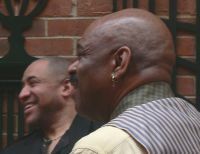 A few industry family and friends joined together for breakfast during the Stellar Award weekend to further salute him. Stories, laughs and tears were shared and testimonies of Hobbs’ business and ministerial prowess abounded. But lauded more than industry stature and visionary status was the fact that Hobbs has been called “brother”, “friend” and “all around nice guy”. There was love “in the room” and celebration was both in order and more than deserved. 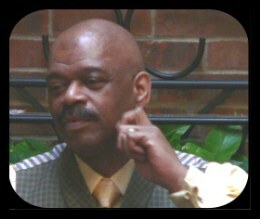 GOSPELflava.com salutes Al “The Bishop” Hobbs, friend to the Gospel music industry and friend to us! Among the attendees were: Willie McClendon, Cheryl Jackson of Washington DCs Heaven 1580, Memphis Gospel radio star Tracey Bethea, Neily Dickerson of the nd co., Pastor Henzy and Lady Nicole Green, Tammy Taylor, Donna Creer, Max and Jennifer Siegel, Sam Williams, Neal Roberson and many more.